We all know that NYC is a shopping mecca, but its still painful to drop a thousand dollars on a jacket no matter how good it looks. So next time you're in the SoHo area of the city and don't feel like walking in the door of Prada, drop by The Market NYC for a look. 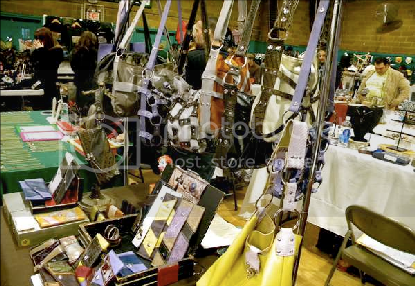 Every Saturday and Sunday from 11am to 7pm the gym in St. Patrick's Youth Center transforms into a 'Young Designers Market' where up-and-coming designers can show and sell their clothing and accessories at reasonable prices. You're sure to find something you like, and your wallet will thank you. Proof that we are living in the future.